Becky Noble is the Director of Marketing for the Kenosha Area Business Alliance (KABA), a role she has served for the past 12 years. Becky is responsible for communicating KABA’s vision that Kenosha County is the premier destination for new investment and talent in the Chicago-Milwaukee corridor throughout the region and beyond. She maintains the web site and social accounts for KABA as well as producing all of the promotional marketing materials and overseeing many of KABA’s events. Becky currently serves on the Governance Board of the Kenosha School of Technologically Enhanced Curriculum (KTEC) and on the Communications Committee for Building our Future. She is a past board member of the Boys & Girls Club of Kenosha and the Education Foundation of Kenosha and served on the Rebranding Committee for the City of Kenosha. Becky holds a bachelor of fine arts degree from the University of Wisconsin – Oshkosh. Hannah Skendziel graduated from Harborside Academy in Kenosha and now attends Carthage College. She is a senior, graduating in May, with a degree in biology. She is a Pre-Medical student and will be applying to medical school this June with the hope of starting fall 2020. Outside of school, she participates in neurophysiology research on campus. It was while presenting this research at a state-wide conference that she learned of a STEM camp in La Crosse specifically for girls. She realized that while the Kenosha area has a need for such a program, no one was offering it. She decided to start the camp herself with the mission of breaking down social and financial barriers, making STEM available to all girls who have the interest and passion. 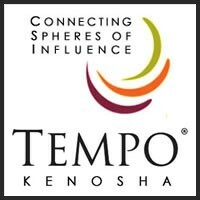 Scholarship Application Due May 24th, 2019 at 3:00 p.m.
Tempo Kenosha is proud to announce that we have partnered with the Kenosha Area Chamber of Commerce Foundation to provide a $1,500 scholarship for the continuing education of local women who are at least 21 years of age to attend Carthage College, Gateway Technical College, Herzing University or UW-Parkside to obtain an Associate’s, Bachelor’s or Master’s Degree. provided by Jayne with fuseable glass details. Jayne will fire and then slump the piece into a dish and return it to you in about 10 days…Just in time for Mother’s Day! There’s still space available! Invite a friend to join you! We’d love to meet her! Entrepreneurs Crystal and Steve Miller, a husband and wife team, own Frontida Assisted Living and have had success in building teams in assisted living for the last 10 years, as evidenced by their Top Workplace awards for 5 years in a row from feedback given by their teams. As a professional speaker, Steve has traveled the country sharing their team-building strategy with rave reviews. 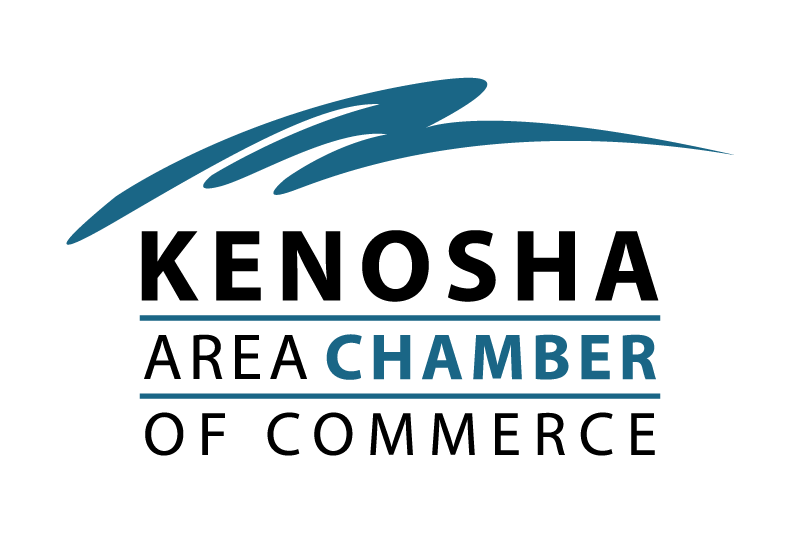 Crystal has earned awards for her intentional leadership, including the Kenosha Area Business Alliance Entrepreneur of the Year award. She is a frequent speaker and a leader in her community. Dr. Michele Hancock, Ed., currently serves as Professor of Practice in Education and Director of Accelerated Certification in Teaching. Throughout her numerous years in pre K-12 education and as an adjunct professor in St. John Fisher College’s doctoral program, she has taught in diverse communities and served as an educational leader addressing diversity, equity, and inclusion issues. In her varied professional roles from classroom teacher to school principal, from central office administrator to school superintendent and higher education advocate, the equity initiatives promoted and implemented addressed creating equitable outcomes for all students and employees by closing equity gaps where they existed. In addressing adult learner needs, Prof. Hancock has taught and presented to numerous organizations, K-12 districts, and higher education institutions on topics such as equity-conscious leadership, pathways to equity and inclusion, culturally relevant instruction, crucial conversations, equity-minded teacher programs, etc. Prof. Hancock completed her doctorate at St. John Fisher College earning an Ed.D. Her dissertation work received prominent recognition for research on how teachers recognize and challenge deficit-thinking in their schools. Other degrees received were a B.S. at University of Illinois, M.Ed. at National Louis University, and her Certificate of Advance Studies (CAS) in Education Administration at the State University of New York (Oswego). Prof. Hancock has co-authored and published a couple of education articles in the Association for Supervision and Curriculum Development (ASCD) and Journal of Staff Development (JSD) on the topics of principal and teacher leadership, and faculty and staff professional learning programs. She was born and raised in Chicago, Illinois, married with two sons, two granddaughters. Jessica Gamez is a results-driven health care sales and business development professional with 10 years of experience with a focus on leadership and growth in home health, hospice assisted and independent living, skilled nursing and long term acute care hospital settings. She has experience in sales and marketing, operations and project management, strategic planning, finance, customer service, business development, process improvement and program development. She loves the challenge of navigating the ever-changing healthcare universe for best patient outcomes and census growth. Jessica has a BA in Business Management and Leadership with a minor in Sales and Marketing. She is currently enrolled in Nursing Home Administrators Independent Coursework for NHA certification. She is well versed in programs for at-risk populations including Medicare, Medicaid, and Accountable Care Organizations. Cameron Swallow moved to Kenosha in August of 2017 to join her husband, John, the new president of Carthage College. She has been a secondary school teacher for 18 years, teaching mathematics, English, French, music and drama. She enjoys reading good fiction, traveling, and playing and singing folk music. She has always been interested in projects that bring different groups of people together around a common purpose and she is looking forward to participating in such community-building projects at Carthage and in Kenosha. Elizabeth’s goal is to become a Registered Nurse and is currently working at Aurora Health Care as a CNA. She was nominated for the South Market CNA/MA/Tech Caregiver Excellence Award in March of 2018 for the care she provides to her Addition Medicine Patients. She volunteers her time at the local humane society and works with rescue animals until they are able to find a permanent home. Giovanna is the Bilingual Admissions Counselor for the University of WI – Parkside. In 2013, she completed her Bachelor of Arts degree with a concentration in Art History and a Spanish minor. She is currently seeking her Master’s degree in Applied Professional Studies with a concentration on Public Service from UW – Parkside. She is passionate about helping underserved students obtain a high school credential and transition to college. Heather Lux has served as the Regional Project Director for the Southeast Office for over 6 years. Under her leadership, the business education team has not only met but exceeded all of the area’s goals and deliverables. She oversees all daily operations in WWBIC’s Southeast Wisconsin office. She brings in vision, strategy and relationship building. Ms. Lux was formerly Director of Junior Achievement where she was responsible for special events, fund raising, networking, board development, partnerships and overall program sales. Prior to that, she was the territory and then, regional sales manager for a large paper mill on the east coast, receiving the “Top Sales” award for 9 out of 13 years. Ms. Lux earned her degrees in Business Administration and Public Relations from Carthage College, and recently completed her Nonprofit Leadership Certificate from the University of Wisconsin Parkside. She currently serves on the national board for the Association of Women’s Business Centers.